Technology teams are accomplishing more, faster, thanks to the power and flexibility of Amazon Web Services (AWS), but these services present new challenges for monitoring. From on-prem and cloud resources to containers and microservices, with more moving pieces and frequent changes, it’s harder than ever to keep up. 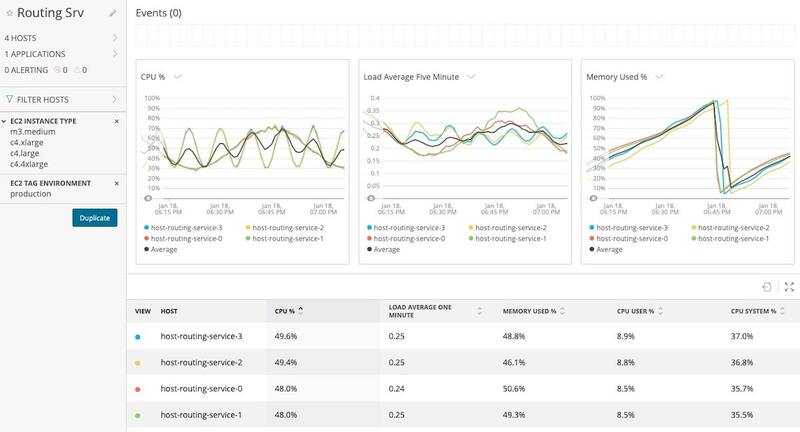 New Relic Infrastructure combines configuration monitoring and real-time health metrics with a dynamic, tag-driven approach to dashboards and alerting to give ops teams an unparalleled view of their dynamic AWS infrastructure. Some EC2 hosts are more important to you than others, which is why New Relic Infrastructure makes it easy for you to focus on what you care about most. View your hosts through the lens of any AWS attribute, such as role, tier, availability zone (AZ), and data center, or even custom EC2 tags. Maintain visibility on the billing impact of fast growing applications that use a wide variety of AWS services. Cost and forecasting dashboards can help you more accurately prepare budget estimates that may impact the bottom line. View your AWS data any way you like with custom dashboards. And build alerts to stay on top of any developments that could impact the performance of your infrastructure. Both dashboards and alerts auto-scale with your infrastructure so you can make sure you’re always monitoring the entirety of your AWS ecosystem. The cloud offers tremendous opportunities for companies of all sizes; however, the reality is that one in three cloud projects fail. Often, a lack of measurable visibility leads to unforeseen errors, performance issues, engineering rework, and overall stalled progress. New Relic’s cloud adoption solution offers best practices for each phase of the cloud adoption journey: from pre-migration planning to migrating your applications to successfully running those applications in the cloud. Our solution helps you to baseline, discover applications, overcome roadblocks early on, and prove success. See what companies like Pantheon and Scripps Networks have already learned by using New Relic—the earlier you instrument, the faster you go! These integrations make it easier to view and account for your AWS usage—whether that means analyzing your AWS spend, preparing for a quarterly budget review or forecast, assessing the impact of scaling up your service, or looking at spikes and dips in usage and data flow so you can fine-tune your AWS infrastructure and application management. Get a complete, real-time view of your AWS services. 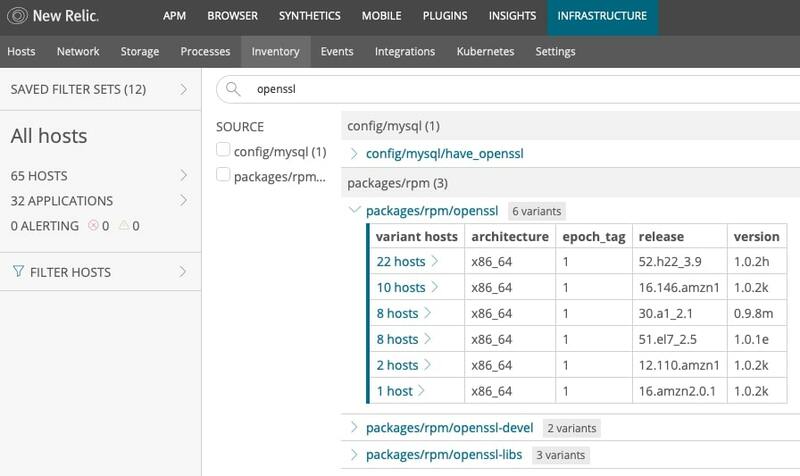 Sign up for a free 30-day trial of New Relic Infrastructure.